Ballari (pronounced ), Previously called "Bellary", is a historic city in Ballari district in Karnataka state, India. Numerous neolithic archeological sites have been discovered around Ballari, such as the ash mounds at Sanganakallu, Budhihal, Kudithini, Tekkalakote, Hiregudda and Kupgal. The Sanganakallu settlement, spread over an area of 1,000 acres (4.0 km2), is one of the largest neolithic complexes known around Ballari. Historically, the Ballari area has been known by many names, such as Kuntala Desha, Sindavadi-nadu and Nolambavadi-nadu. Ballari was ruled in succession by the Mauryas, the Satavahanas, the Pallavas, the Kadambas, the Badami Chalukyas, the Rashtrakutas, the Kalyani Chalukyas, the Southern Kalachuryas, the Sevuna Yadavas, and the Hoysalas, and also ruled briefly by the Cholas during the wars between Kalyani Chalukyas and the Cholas. 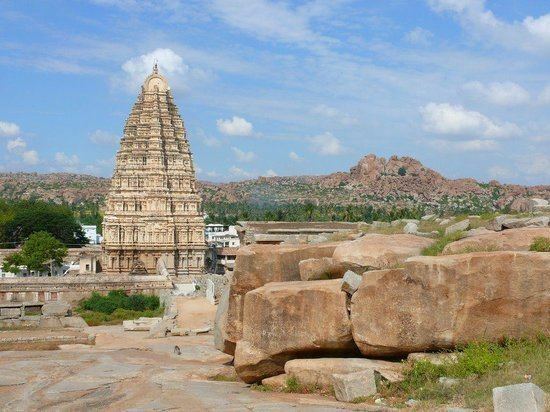 After the Sevuna Yadavas and the Hoysalas were defeated by the Islamic sultanates of Delhi, the Vijayanagara Empire arose under Harihara I and Bukka I, who dominated the Ballari area. 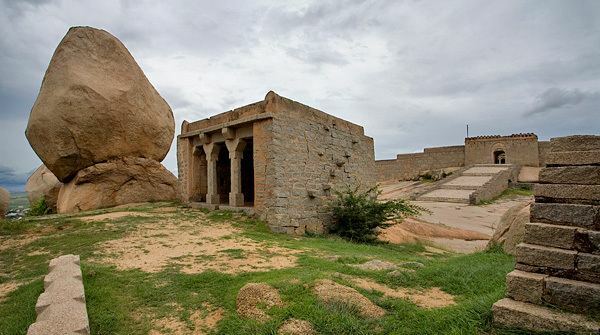 Ballari itself was ruled by the family of Hande Hanumappa Nayaka, a Palayagara of the Vijayanagara rulers. After the fall of the Vijayanagara empire, the Hande Nayakas of Ballari were successively subsidiary to the Adilshahi sultanate, the Maratha Empire, the Mughals, the Nizam, Hyder Ali and Tipu Sultan, and finally the British Empire after the Nizam ceded a large part of the southern Deccan to the British East India Company. The Hande Nayakas ceased to be rulers of Ballari after Major Thomas Munro disposed of the palayagars of the ceded districts and established the Ryotwari land revenue system. In 1808 AD, the ceded districts were split into the Ballari and Kadapa districts, and in 1867 AD the Ballari Municipal Council was created. Further, in 1882 AD, Anantapuram district was carved out of the Ballari District. The Maratha princely state of Sandur was surrounded by Ballari district. 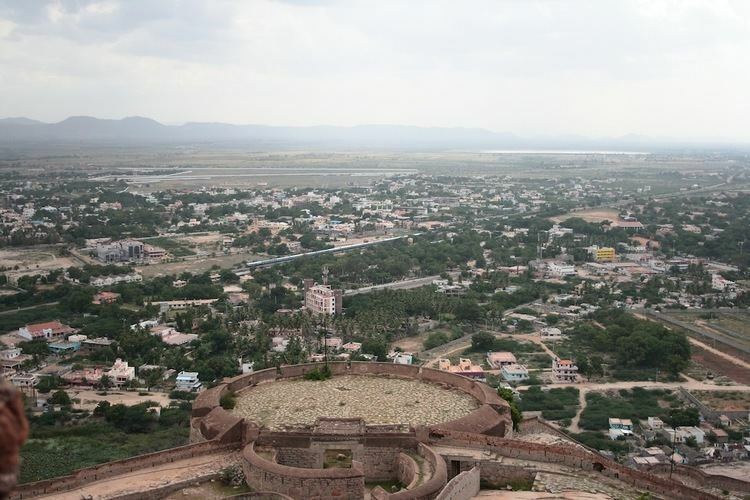 In 1901 AD, Ballari was the seventh largest town in Madras Presidency, and one of the chief military stations in southern India, garrisoned by British and native Indian troops under the British Indian Government. The town included a civil railway station to the east of the Ballari Fort, the cantonment and its railway station on the west, the Cowl Bazaar and the suburbs of Bruce-pettah (currently spelt Brucepet) and Mellor-pettah, named after two British officers once stationed in the town. The industries in the town included a small distillery and two steam cotton presses. The steam cotton-spinning mill established in 1894 had 17,800 spindles and employed 520 hands. On 1 October 1953 AD, the Ballari district of Hyderabad State was divided on a linguistic basis. Areas with a significant Kannada speaking population were transferred to Mysore state, which later became Karnataka state. Areas of the district with a significant Telugu speaking population were merged into the Anantapur and Kurnool districts in what would later become Andhra Pradesh state. Ballari city itself, with large numbers of both Kannada and Telugu speakers, was included into Mysore state after protracted debate and controversy. The Ballari city municipal council was upgraded to a city corporation in 2004. Ballaris population was 409,644 according to the 2011 census. Bellary has a semi arid climate,it is located at 15.15°N 76.93°E? / 15.15; 76.93. It has an average elevation of 495 meters (1459 ft). The city stands in the midst of a wide, level plain of black cotton soil. As the city lies in the rain shadow region of the Western Ghats, it receives little rain from the southwest monsoon. Temperatures remain high from the months of March to mid June, with highest temperature recorded at 44.9 °C (110 °F),hereby one of the hottest cities in karnataka. The months from July to October are relatively pleasant,and the months from November to February are mild warm with average mean temperatures of around 22 °C (71 °F). The city receives about 25 inches (634 mm) of rain every year, mainly in the months from August to October,but can receive up to 36 inches of rain sometimes.